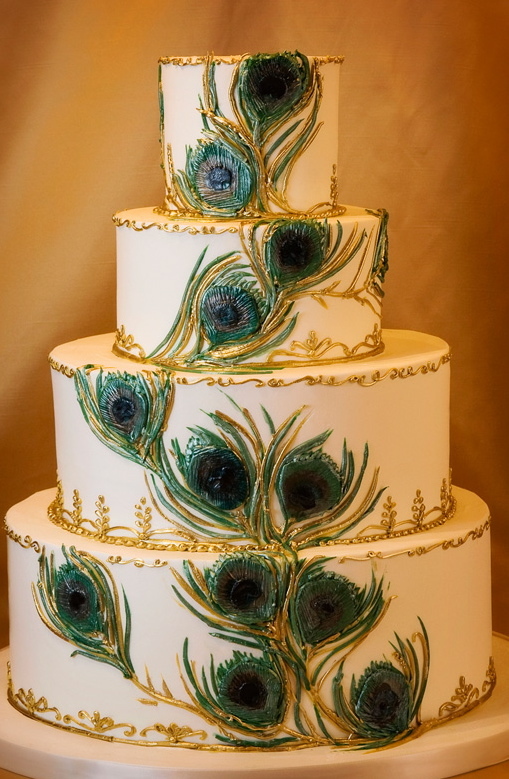 Trending in the bay area is the peacock feather themed weddings, everything from the actual feathers to using the colors inspired by the bird. As a wedding planner I am quite excited to see the interest in this feather because it is one of my favorite birds and it reminds me of a dearly loved painting we had in our house as a child. 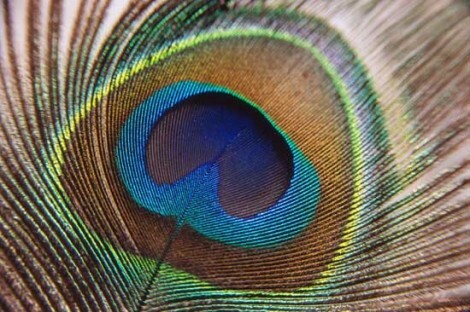 The usage of this feather and colors gives a fun, playful, yet very elegant feeling to a wedding. A few ideas to bring this theme into your wedding is through cake, attire, invitations, décor, even within your flowers. The feather has blues, greens, brown, silver, and gold shimmer, giving you a fantastic palette to work with within your event. 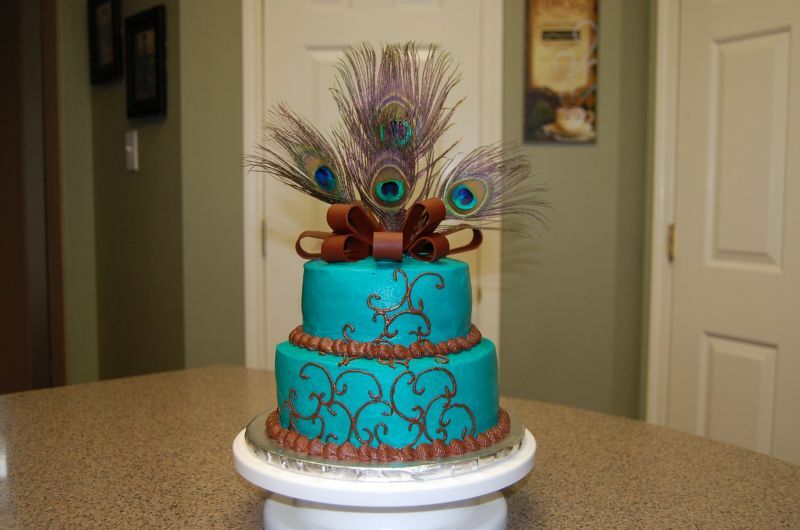 Bringing this theme to your cake can be as intricate as having fondant hand painted feathers added to the cake or as simple as adding the actual feather to your cake stand or cake. 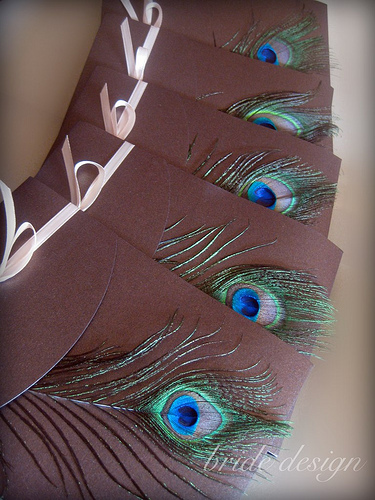 Many printing companies have peacock themed invitations or you can order a simple brown invite and add a individual peacock feather to each invite for a pop of color. 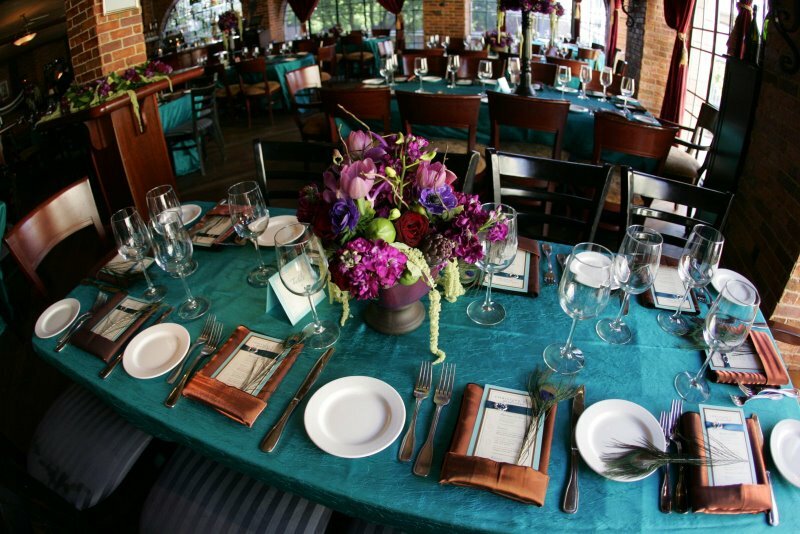 You can use table linens and décor to match the feathers, which will bring rich brilliant colors to your wedding day. 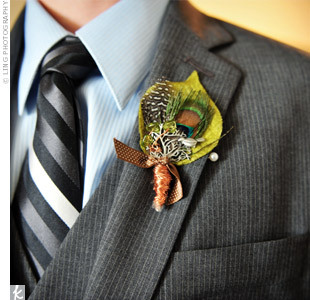 We also love the idea of a DIY project where you can use feathers, ribbon, felt and a few gems to make a one of a kind Boutonniere. We think the peacock feather theme is a perfect idea for the spring, summer and fall wedding. job with this. Also, the blog loads extremely quick for me on Safari. Thank you Kellie, we are glad you are enjoying the site.